Stardoll Sensations: Great twilight designs! WOW! 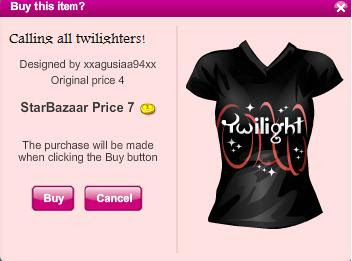 xxagusiaa94xx is so creative check out this twilight t-shirt she has made but this is not the only twilight designs she makes over 7 different designs in different colours! Welldone!